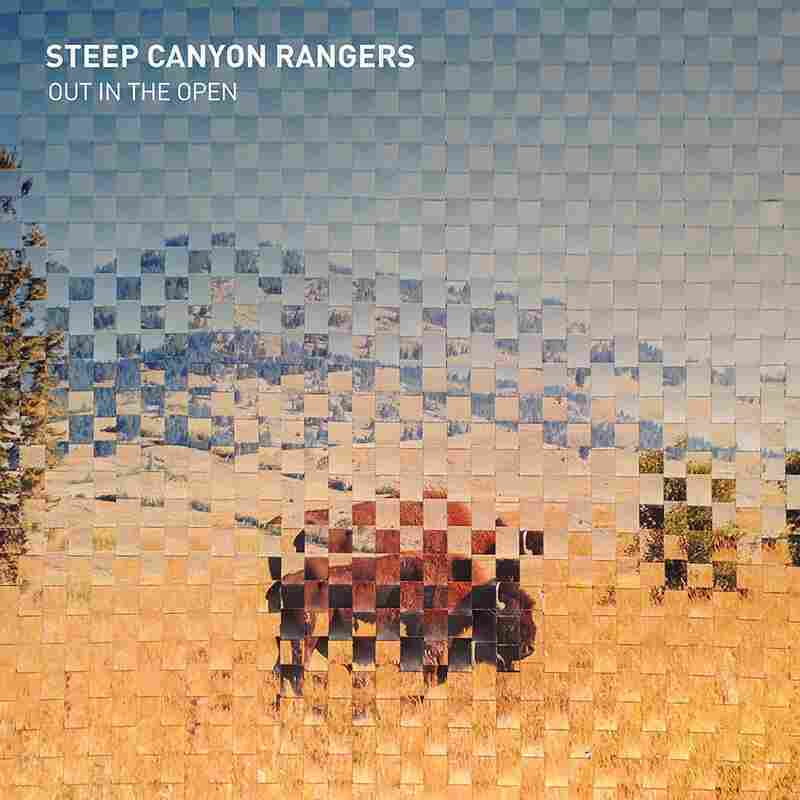 Review: Steep Canyon Rangers, 'Out In The Open' The bluegrass band's songs illustrate how the passage of time, accumulation of experience and changing of perspective can alter a person's relationship to the familiar. The bluegrass band known for supporting Steve Martin returns with its 12th album. No other genre is more invested in the preservation of musical tradition or more suffused with nostalgic pining for the old home place than bluegrass. But that doesn't mean that bluegrass lifers like North Carolina's Steep Canyon Rangers find the genre's tried-and-true conventions to be artistically limiting or inevitably hew to a single career model. The Rangers started this millennium as a college bar band with a fairly straight-ahead bluegrass attack that grew increasingly refined and nimble. Eventually, the scope of their albums expanded to encompass modern singer-songwriter sensibilities. Their image took on a dapper quality when Steve Martin enlisted them as his backing band. Adding percussionist Michael Ashworth enabled them to experiment with groove. New album Out In The Open is produced by Joe Henry — a sensible choice for a group that devotes its virtuosity to the felicitous framing of original songs — and captures the Rangers in easeful command of their abilities and interests. "The Speed That We're Traveling" is a spry, country boogie, while "Best of Me" and "When She Was Mine" showcase singer-songwriter introspection. "Love Harder" is melancholy country-pop arranged for a string band, and the frolicsome, loping title track, complete with plucky harmonica licks, shares a kinship with the romps of Old Crow Medicine Show. Instrumentally, the Rangers' execution tends to be melodic, conversational and precise. Graham Sharp opens "Let Me Out of This Town" with alternating bars of plucked banjo notes and rolling, fleet-fingered patterns that introduces the tamped-down impatience of the song's melody and establishes its galloping feel. Nicky Sanders' elegantly grieved fiddle strokes hover over "Best Of Me," providing a countermelody to the vocals and, during a vamp late in the song, flying in enflamed arcs. During "Roadside Anthems," Sharp's funky, darting banjo solo gives way to Michael Guggino's delicate lyricism on mandolin. Guitarist Woody Platt does much of the lead singing, sometimes trading off with Sharp, and both possess grainy warmth and seem to prefer singing in a lower, more relaxed register these days. Virtually everyone pitches in on harmony at one point or another. The Rangers' read on Bob Dylan's early '60s war protest ballad "Let Me Die In My Footsteps," for instance, projects earnest, folkie indignation through a lusty, multi-voice call-and-response. The remainder of the album's dozen songs were written by the band's two primary songwriters: Sharp, who composed solo and with Sarah Siskind, and bassist Charles Humphrey III, who collaborated with various co-writers and ultimately departed the band after the completion of the album. Rather than idealizing memories of people and places as an abiding source of comfort, the songs illustrate how the passage of time, accumulation of experience and changing of perspective can alter a person's relationship to the familiar. "I can't unsee what I've been shown," laments the soldier protagonist of "Can't Go Home." "My body's bent and my mind is blown / And I never was ready for the things I've known / I can find the house, but I can't go home." Over a decade and a half in, that kind of equanimity, that thoughtful rewriting of familiar templates has become a Rangers specialty.